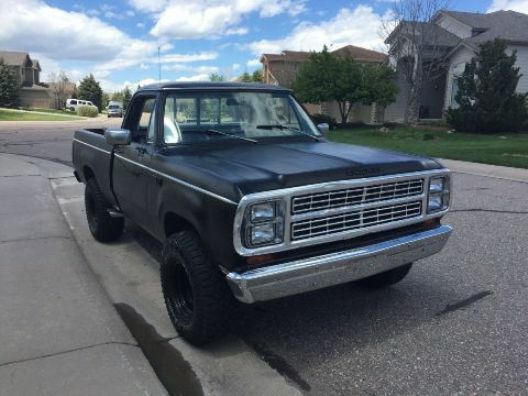 I can't believe how many "nice truck" comments or smiles and thumbs up it got! Outdid what the Belvedere usually gets. Put tires on it that weren't 20+ years old in addition to new radiator hoses and tstat after the bypass hose decided to bypass the cooling system altogether a few weeks ago. Did about 90 miles in total and it worked great. Bit of a weird vibration about 65mph+...not constant but cyclical 3/4 of the time at that speed, not dependent on on/off throttle, didn't feel it through steering wheel. By "bypass" I meant the intake to water pump hose (318). That's very good to know about the heater box as I've never opened one up. Vibration could be tire or drive shaft. The drive shaft can be checked by turning the shaft 180* in the rear yoke. Tires, check balance. I'll try that...definitely thinking more driveshaft. Tires were just balanced and didn't feel like that kind of vibration. Wow, my Sweptlines get more attention than my 64 Belvedere, too! Can you post some pics of your new Sweptline? Here's a pic with the newer rubber. See the following thread for some other pics. Last edited by 64Bel; 08/18/18 02:17 PM. love it! warts and all. Check your U-joints. If they are bad it can cause a vibration. So cool. Love those original colors from the day were so cool. Very nice Sweptline & I love its color combo. 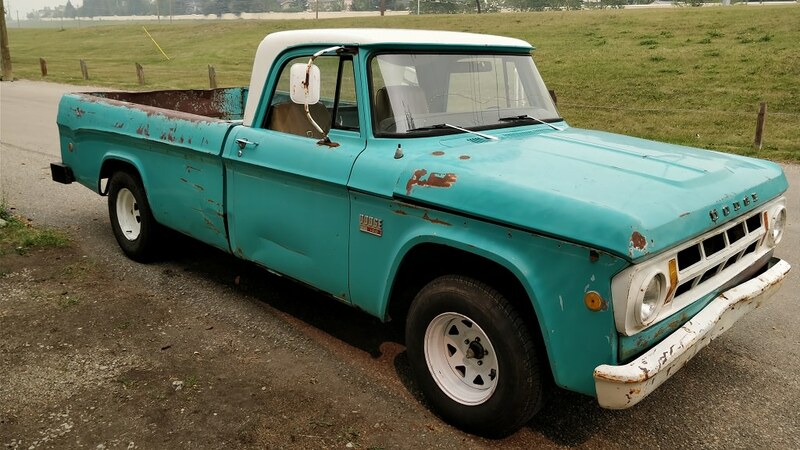 The 68 I got 2 yrs ago was a NV dealer's 383 Swepty & the guy I got if from kept the Sweptline bed since its a rust free Swepty & put a Uteline bed on it. It ran great, but we put its red 383 2bbl on a stand & installed my 70 built 383 Mag so I can tow my 64 Belvedere easier. My dash is different than yours but yours is very cool, too. Best wishes on your resto. It is looking really cool.